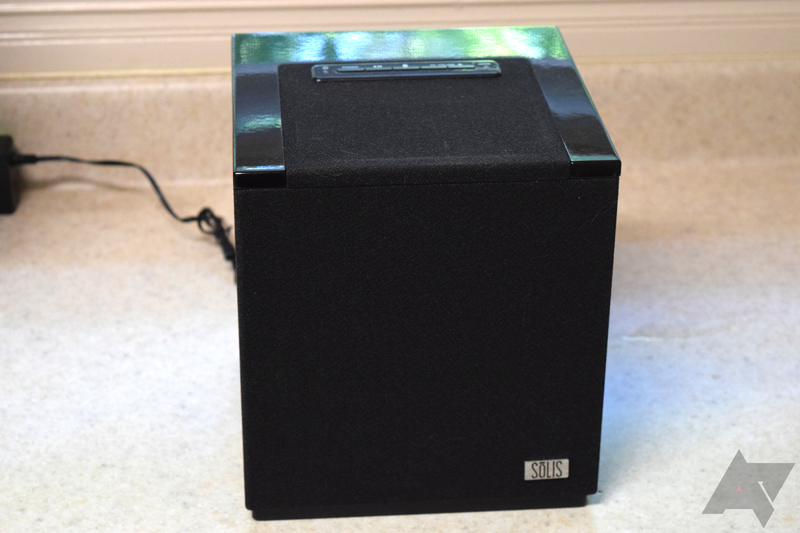 A few months ago, I took a look at both of SōLIS' entry-level Chromecast speakers, the SO-3000 and SO-6000, which impressed me with their sound quality and designs; they featured Cast, Bluetooth, and line-in support. But pricing felt a little steep, especially for the SO-6000. 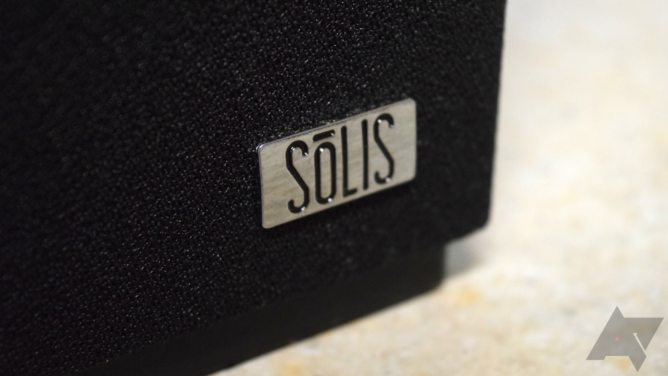 This time around, I took a look at the next step up in SōLIS' product line: the SO-7000. 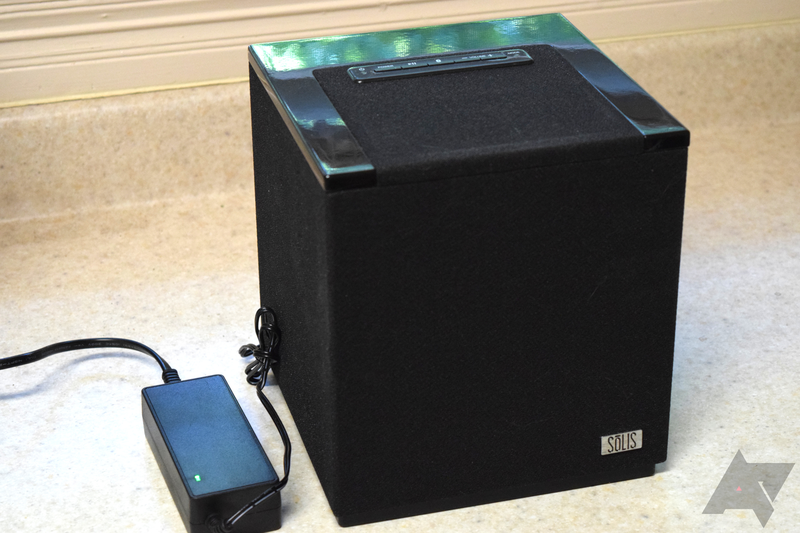 This cube has all of the benefits of its cousins, but it packs more of a punch, especially with the bass. 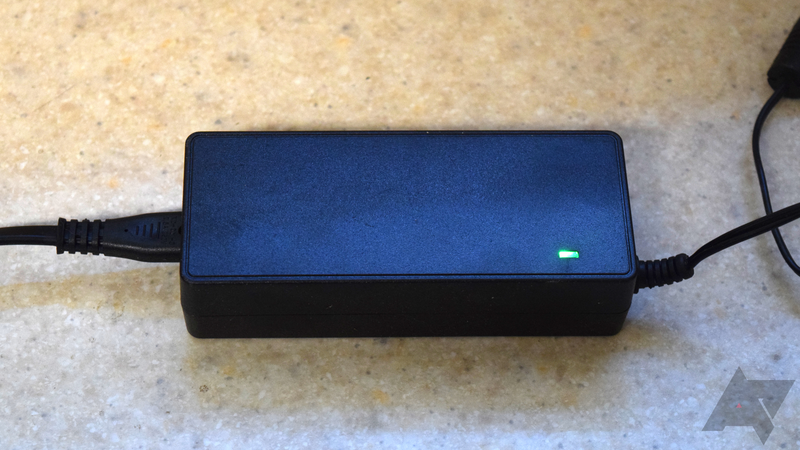 Despite a weird bug and a tendency to go into a deep sleep, the SO-7000 is definitely one of the best Chromecast speakers you can buy right now. A $299 MSRP might feel a bit high, but you get a great sound experience in a cube that fits just about anywhere. Design I really like the minimalist cube design. Its neutral colors help it blend in almost anywhere. Sound SōLIS does a nice job with sound, and the SO-7000 takes things up a notch. Clear highs, crisp mids, and powerful bass all make this a joy to listen to. Options You can go for Chromecast, Bluetooth, or line-in, depending on your preferences and needs. I suggest the former, offering a fantastic balance of convenience and sound quality. Power adapter This bulky brick gets in the way. Small complaint, I know. Convenience The SO-7000 likes to go into deep sleep, requiring you to press the power button to wake it up. It also randomly stops playing Spotify if the playback is initiated from a device, but it doesn't do this if you issue an Assistant command. SōLIS opted for a minimalist, understated design with the SO-7000, much like the SO-3000, meaning that it can blend in with most any decor. While some style is appreciated – I thought the vintage look to the SO-6000 was neat – the minimalism helps keep the speaker in the proverbial background, pumping out sound without drawing too much visual attention. This "little black box" (SōLIS' words, not mine) is a solid, unobtrusive cube that fits very well in most spaces. I placed mine on the kitchen counter during my review period, and it took up less horizontal space than my ancient 30-pin iHome iPod dock. The fabric covering the speakers attracts dust and hair, though — let's just say I could always tell when one or both of my cats had been on the counter. All of the main controls sit on the top of the cube, surrounded by very glossy black plastic, i.e. 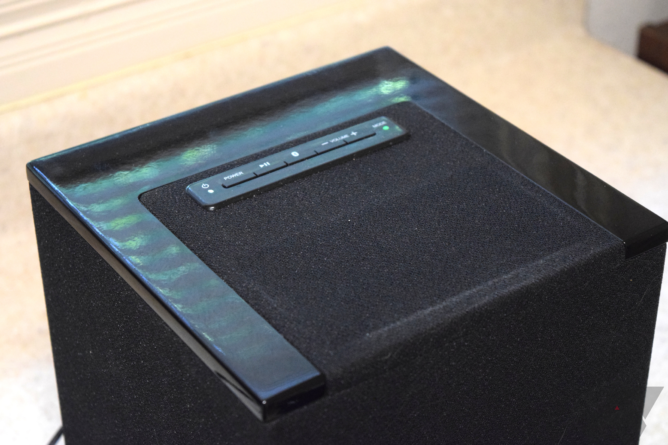 fingerprint magnet, with more of it creating a U-shaped border around the rear of the top. Along the back is where you'll find both the power and 3.5mm ports, but the SO-7000 is overall mostly dedicated to its 360° sound profile and filling a room with music. 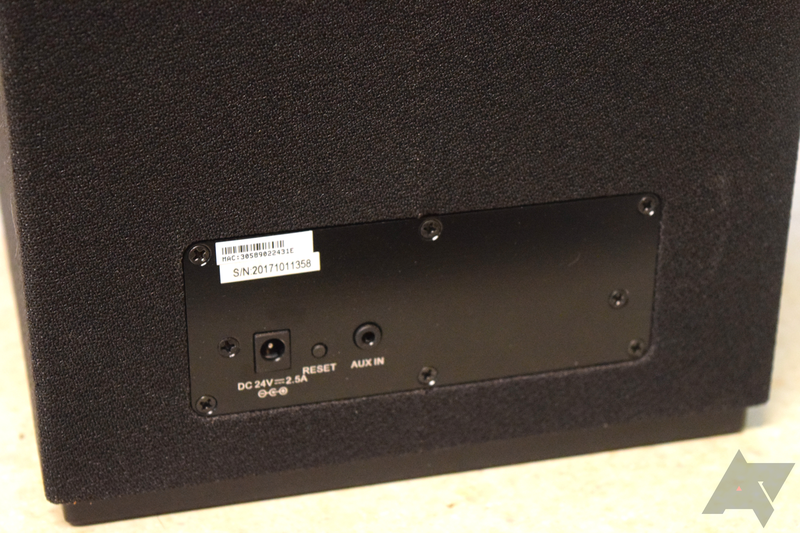 It sports a 2 x 25W and a 50W (subwoofer) output, which is great, but that leads to my biggest gripe with the design: the two-piece power adapter. It's a fairly substantial 60W brick and often gets in the way of creating a clean look when setting up the speaker. This is a such a minor thing, though, so it might not even bug you. My problem with the SO-7000 was that it liked to go into a very deep sleep, so when I'd go to play music on it from Spotify or from an app with Chromecast, it wouldn't appear in the list of available devices. But tell Assistant to play something on it, and it'd wake up and start playing just fine. It was the inconsistency that bothered me. I also noticed that if I started playing Spotify from my phone and selected the SO-7000 from the list of available devices, it would stop playing after a random amount of time; sometimes it'd be half an hour, others would be over an hour. This didn't happen if I initiated the Spotify playback via Assistant. Not sure if this is a bug with Spotify Connect or a hardware fault with the SO-7000; I don't recall it on either the SO-3000 or SO-6000, and it doesn't happen on any other speaker in my house. SōLIS does a nice job with its minimalist, subtle designs. Sound, however, is the more important bit here, and thankfully, the SO-7000 is quite the attention-getter in this regard, especially with how well it handles bass. Sound is overall rich and full, with defined bass, clear highs, and warm mids. In short, I didn't find that the SO-7000 redefined the music I tested through it, but I was nonetheless pleased with almost every note I heard, except when the bass rattled my coffee maker (which sat right next to it). Separation in the mid-low spectrum is a bit fuzzy, but I doubt that most people will notice it; those of you who would hear it will find what I'm talking about in any track with sounds in that area, like some of the higher notes on bass guitars and certain deeper male vocals (The 69 Eyes is where I heard it first). Despite what SōLIS might tell you, this isn't really meant for audiophiles, which is okay. For the vast majority of you out there, this speaker is pretty damn close to perfect to just fill a room with rich sound, whether you're entertaining guests at a party or setting the mood for an evening meal. In my last SōLIS review, I went over the setup in the Google Home app. I won't repeat myself this time around, but do go to this section if you're interested in seeing how it all works. Once you're set up, you can tell Assistant to play whatever on the SO-7000 — you can even set a custom name, like "kitchen speaker." The setup process is pretty seamless, though it can take several minutes to get everything going. An unoffensive, versatile speaker, the SO-7000 is a great choice if you want good quality sound in your home. Its three connectivity methods fit the needs of the vast majority of people and its design may not be original, but that helps it blend in wherever you may want it. The SO-7000 gets loud, loud enough to irritate your neighbors if they're sensitive to things like that. Bass is one of the best things about this speaker, since it has enough rumble to rattle some of the other appliances on my kitchen counter. Honestly, this is one of the best wireless speakers around for this price, especially since it supports multi-room with other Chromecast speakers. Having a consistent 360° sound experience is great, too. I didn't experience the wireless connectivity issues that some other reviewers noted, but the SO-7000 liked to go to sleep during Spotify playback that I initiated from my phone, though it stayed awake when I issued a command through Assistant to play something. It was odd, and it happened with several different source devices, including a Pixel 2 XL and Mate 10 Pro. At an MSRP of $299, the SO-7000 feels pretty steep, but you'll be hard-pressed to find something better in this product segment and price category. Sure, $100 more nets you a Google Home Max, which has all the benefits of being a full-fledged Assistant speaker, but a hundred bucks is not insignificant. The SO-7000's biggest competitor, I think, is the Sonos PLAY:3, which sits at $249 and carries the weight of the Sonos name. Of course, with SōLIS, you have the benefit of native Assistant integration, allowing you to set the SO-7000 as part of a room or speaker group — don't undervalue the benefit of "Hey, Google, play Queens of Metal Spotify playlist on kitchen speaker" basically right out of the box. I also think that the SO-7000 has punchier bass than the PLAY:3, but I couldn't compare them directly during the course of this review. At time of writing, you can pick one of these up for $249, which is a fantastic price. If you choose to buy one, I don't think you'll be disappointed. SōLIS did a great job at providing a great listening experience, even if the speaker likes to go into a deep sleep, sometimes at random points. Otherwise, it's a very fine addition to your home. It needs a better name, though.